I recently tried to organize a group outing to Taco Bell—something I do as often as I can—and a friend told me she doesn’t Live Mas because she’s been vegetarian for six years. “BUT THAT’S ALL THE MORE REASON TO GO TO TACO BELL!” I yell-explained, so excited that she was about to discover the joy and wonderment of meatless Taco Bell that I was unable to control the volume of my voice. Her initial response was totally warranted though. Eating fast food as a vegan or vegetarian must be a total nightmare, filled with side salads and French fries and fruit cups meant for kids meals. When vegetarians called on In-N-Out to introduce a veggie burger, they were met with either silence or ridicule. Mainly ridicule. But Taco Bell is different. I was lucky to have spent my fundamental Bell-eating years with my best friend who was raised vegetarian. Dip Naik (what up, Dip!) taught me the all-important phrase “no beef; sub beans” and I will be forever grateful for that. Taco Bell already has a bunch of meatless options like the 7-Layer Burrito or your standard Cheese Quesadilla, but with the “no beef; sub beans” hack, you can make any item on the menu veg-friendly. Sometimes I’ll get a No Beef; Sub Beans Crunchwrap Supreme just because I prefer the velvety mouthfeel of refried beans. 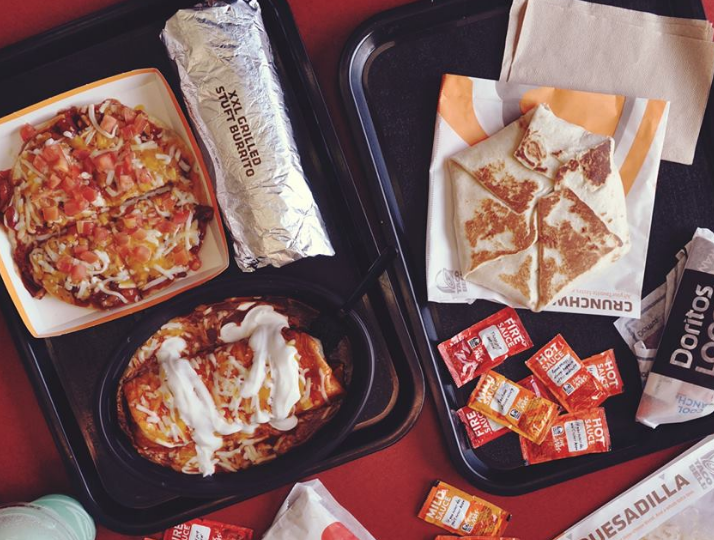 That four-word phrase isn’t where the meatless journey has to end: Taco Bell’s menu is infinitely customizable. If you’re ordering online, you can click and drag any ingredient into or out of your item. Want to add black beans to your Doritos Cheesy Gordita Crunch instead of beef? Throw some green sauce and nacho cheese on top? It’s all possible. You can be your own vegetarian quick-serve taco and taco-adjacent-foods God. It’s easy to see all your options online, but it’s a different story when you’re dealing with the pressure of split-second, in-store decision making. Keep this guide handy so you know all the vegan and vegetarian options at your disposal. Your main issue here is deciding which filling, starchy, protein-y base to use to sub in for meat. But, since many of those will lack the roundhouse kick of seasoning and spice found in Taco Bell’s beef, you should also add an additional flavor enhancer. Below are all the vegetarian bases and flavor add-ons. Bases: Refried Beans, Premium Latin Rice, Black Beans, (RIP Mexican Rice which was discontinued a few months ago but we’re optimistic for a return). Flavor Liquids: Nacho Cheese, Habanero Sauce, Creamy Chipotle Sauce, Creamy Jalapeno Sauce, Mexican Pizza Sauce, Green Sauce, Red Sauce, Spicy Ranch, Sour Cream, Avocado Ranch Sauce, and Guacamole (only to use in emergencies). Flavor Solids: Jalapeños, Crunchy Red Strips, Three-Cheese Blend, Tomatoes, Pico de Gallo, Onions, Fire Roasted Salsa, Cilantro, Salsa Del Sol (this is a breakfast specific salsa, but worth it to ask for). Instructions: Pick a menu item, substitute out meat for one of the bases, then add any combination of flavor liquids and one flavor solids to make up for lost meat flavor. 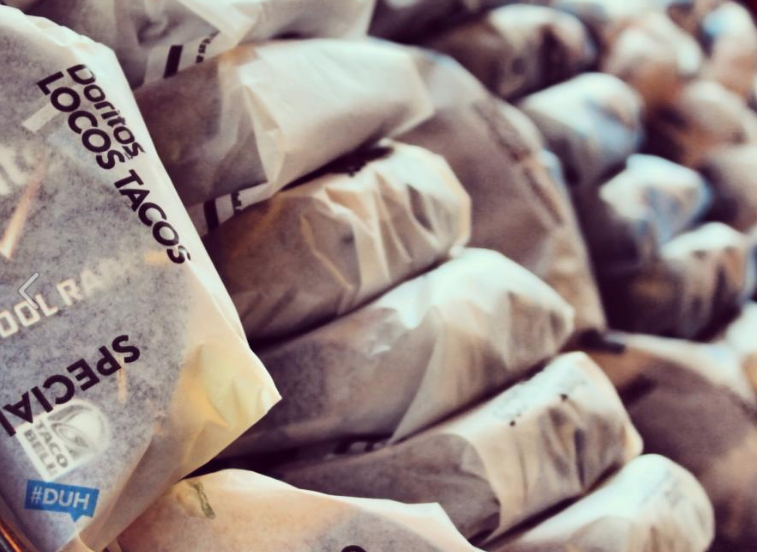 Going vegan at Taco Bell is much trickier considering the amount of dairy and sauces that use egg yolk as an emulsifier, but that doesn’t mean it can’t be done. Bases: Refried Beans, Seasoned Latin Rice, Black Beans. Flavor Liquids: Mexican Pizza Sauce, Green Sauce, Red Sauce, and Guacamole (use guacamole freely if you are vegan as you are already fighting an uphill battle towards Flavortown and you need all the help you can get). Flavor Solids: Jalapeños, Crunchy Red Strips, Tomatoes, Pico de Gallo, Onions, Fire Roasted Salsa, Cilantro, Salsa Del Sol. Instructions: A quick short-hand trick for ensuring your taco or burrito or quasi-taco-type item doesn’t come with any dairy products on it is to request it “Fresco Style” which omits cheese and sour cream and other non-vegan sauces for pico de gallo. So whatever your stitched-together, Frankensteinian, tortilla-wrapped creation of choice may be, always throw the phrase “Fresco Style” in there. 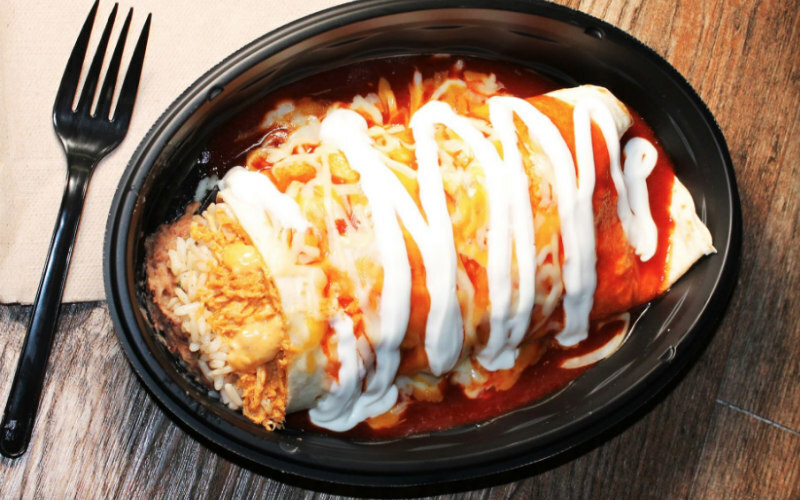 Or you could just get a 7-Layer Burrito (Fresco Style for the vegans). It’s pretty good.